Stefan and me spent some more weeks in Margalef. 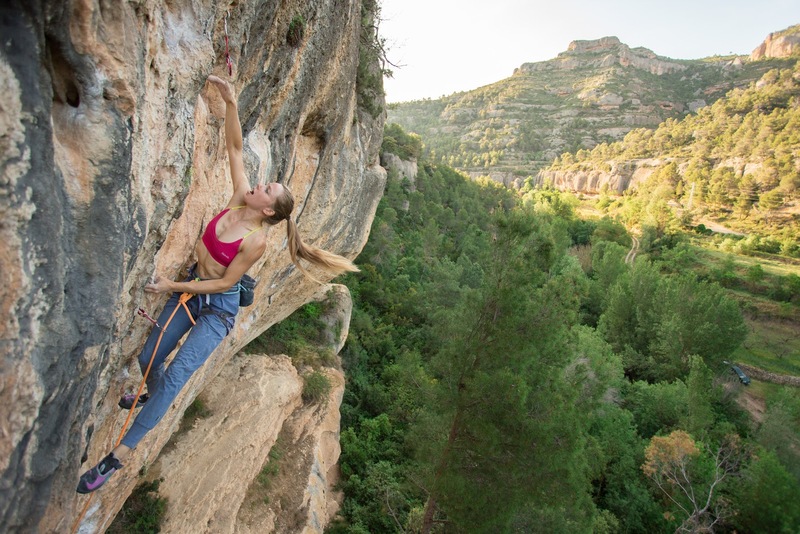 Last week I sent Devora cordes (8a) at Laboratori sector. It`s a nice line through pockets and cracks, with a bouldery crux at the last part of the route and after that you have to mantle up to the anchor, which is very funny cause it´s like bouldering in Fontainebleau and also a very challenging move when you’re pumped. I think this is the last route at Laboratori sector for me because it´s a sunny sector and now it’s getting very warm here in Margalef. 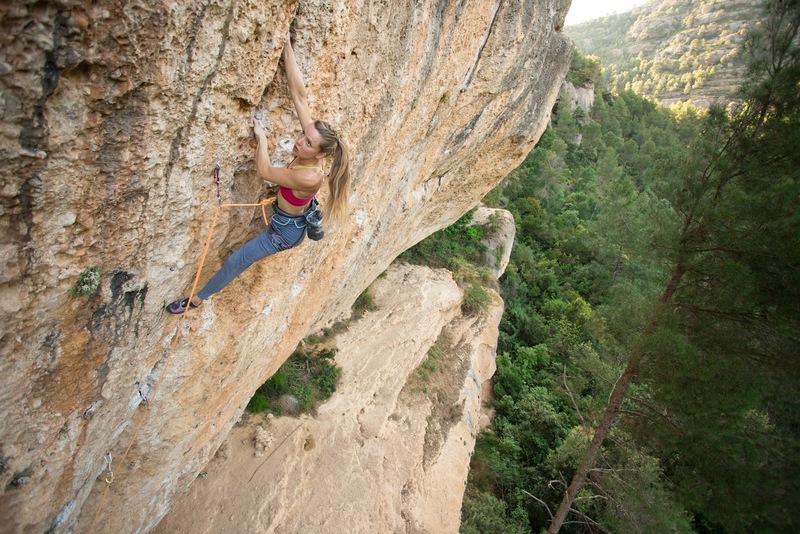 Even in the shade it´s sometimes too hot for climbing but despite the high temperatures I sent the very beautiful line called Esaú (8a+) at Cova Soleiada sector (pictures). It´s 30 meters long and a very logical line through a crack with a big variety of tufas. It took me a lot of work to find the best way through the big supply of holds but finally I sent it with very sweaty fingers, due to high temperatures about 35 degrees. My endurance is getting better and I´m trying to climb longer routes now, after spending a lot of time bouldering at Laboratori sector and it´s really fun to climb a different style now. We enjoyed our last days of climbing, since we are heading to Portugal to meet my brother and friends and spend some time surfing. I´m looking forward to take a break from climbing because I think after climbing intensively for the last month my body and mind need some more restdays to stay healthy and motivated. 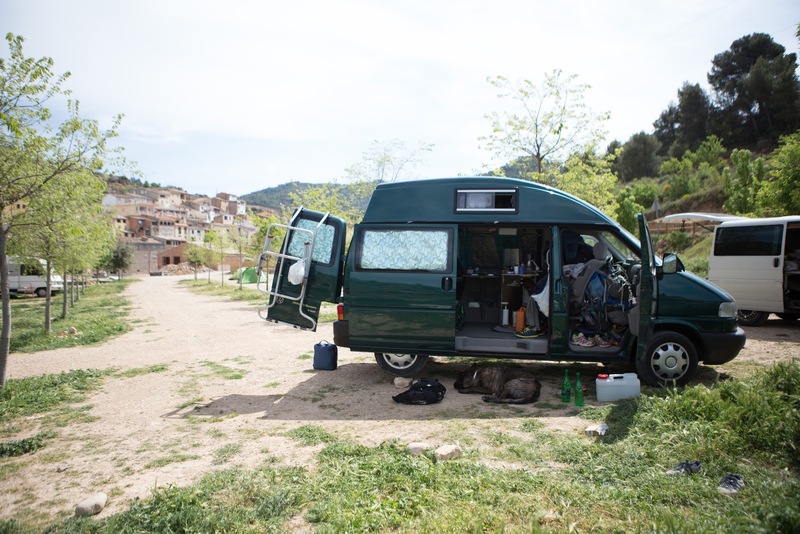 We spent our last days in Margalef at a parking at the other side of the river, where they are building a campsite now. So free camping won´t be possible at this parking in the future and at the popular free parking at the dam (Pantà de Margalef) it is the same. I see that establishing sanitary systems is necessary due to the number of climbers in this area but I hope, that it won´t change the atmosphere too much and that it will still be possible to sleep in vans outside the campsites. For more information see the FB Profile of the campsites.